271 pages of devotional stories suitable for group presentation or individual devotional time. 92 separate stories indexed by topic. 9 pages of additional easy-to-understand scriptural references for the same topics. 13 stories are written by guest authors from YMCA's around the country. The feature story of this book, "Turning It Over To God," tells about when the author turned the success of his YMCA over to God, and the amazing story of what happened as a result. 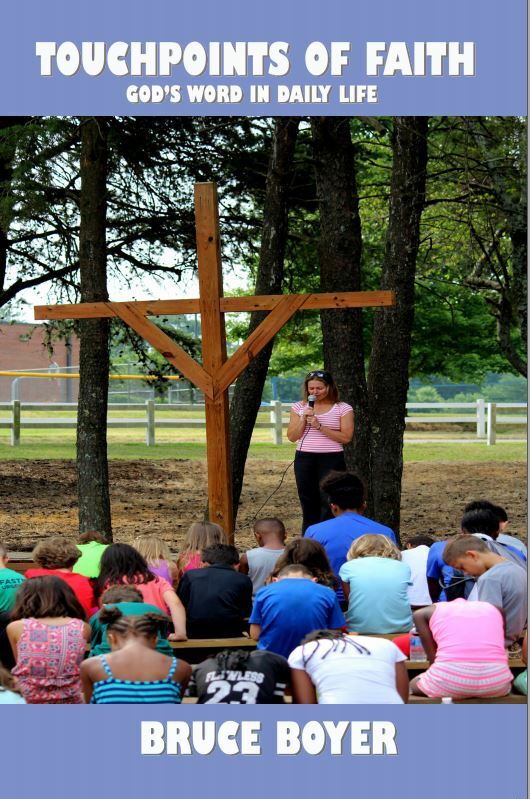 Touchpoints of Faith is dedicated to the Christian mission of the YMCA. $18 Personally signed by the author. Free shipping anywhere in the continental United States. 117 pages of devotional stories suitable for group presentation or individual devotional time. 51 separate stories indexed by topic. 10 pages of easy-to-understand scriptural references for the same topics. The feature story in this book is "Lost in the Amazon," which focuses on how faith enabled Bruce and Kathy Boyer to get through an ordeal of their son being lost in the Amazon rain forest for six days. This is a true story documented by two Discovery Channel hour-long features and a Reader's Digest story. 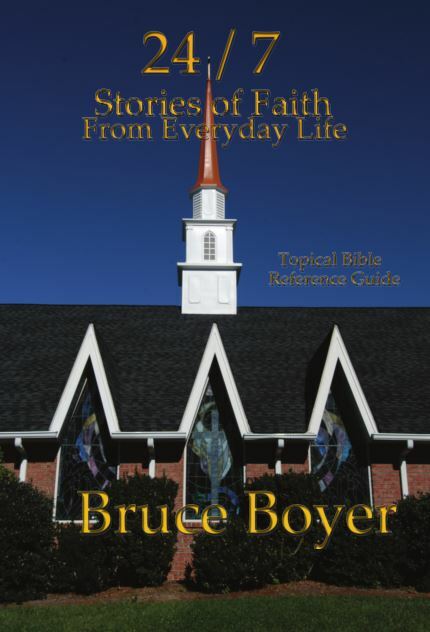 Stories of Faith From Everyday Life is dedicated to Bruce Boyer's mentor and legendary storyteller The Old Gray Goose. $12. Personally signed by the author. Free shipping anywhere in the continental United States. Are You Ever Asked to Open a Meeting with a Devotional Thought? We have all been there. There will come a time when you are asked to provide an inspirational devotion at the beginning of a meeting. 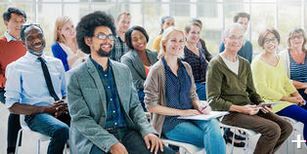 Then you need a timely topic that sets the tone for a productive meeting and leads into what is going to be discussed that day. 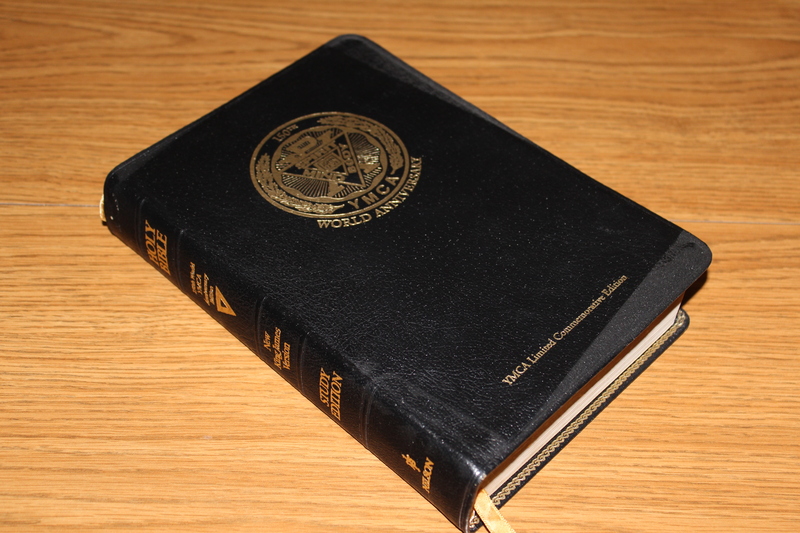 Bruce Boyer's devotional books are indexed by topic, so it is easy to find the perfect devotion. The stories in both devotional books are set in the context of today's world. The lead in examples to a topic come from our world today. People can identify with them from their everyday life. Once people are invested in the story the faith lesson brings in God's unchanging Word. The Bible is as relevant today as when it was originally inspired by God. The stories drive home that God is alive in our life today. Every story has one or more bible references to the faith lesson. This approach is a non-threatening way to emphasize a faith lesson to a group of people from various stages in their faith walk. The approach to my devotional stories is different than you would experience in a traditional church sermon. Most sermons are based on a biblical text. The scripture verse is read prior to the message of the sermon. My devotional style starts with the story and then brings in biblical references. I do this because often times devotions are given to a mixed audience, including people not yet strong in their faith. If I started with the text their eyes would "glaze over" and people might tune out the message entirely. By providing the story first I hope people can identify with the story and its intent. The scriptural passage then becomes an "ah ha" moment when people can see the relevance of God's Word to everyday life. Each story includes one or more scriptural references so that the faith lesson of of God. I choose easy-to-understand passages from the Bible. Each story includes a question that helps the listener apply the faith lesson to themself. Every devotion concludes with a prayer. Jesus taught through telling stories and then asked a question that helps listeners place them self in the context of the faith lesson. For a Personally Signed Copy: To order a devotional book please make out the check payable to Bruce Boyer and send to 108 Rockford Court, Kernersville, NC 27284. If you wish to have the book signed by the author indicate who it should be made out to. Devotional books make excellent gifts. Sorry, I cannot accept credit cards. This is a personal ministry. You may also order direct from Amazon.com, but the book will not be personally signed by the author.